Here are some facts about Antoni Gaudi. His father was a boilermaker. He was a vegetarian from a young age. For a time worked as an apprentice in a textile mill. 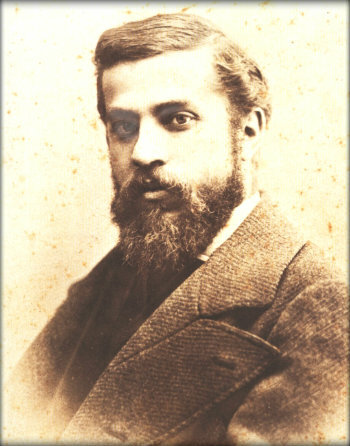 In 1878 Gaudi graduated from the Barcelona School of Architecture. Eusebi Guell, a Catalan businessman, was impressed by Antoni Gaudi’s work. He commissioned Gaudi to design several buildings, including: Palau Guell, the Guell wine cellars and the crypt of the Church of Colonia Guell. In 1883 Antoni Gaudi was asked to take charge of the project to build a cathedral in Barcelona called ‘Basilica i Temple Expiatori de la Sagrada Familia (or the Sagrada Familia). This project dominated his working life. When he was a young man, Gaudi dressed smartly and enjoyed fine food. When he was older, Gaudi cared little for his appearance and devoted all of his time and energy to the construction of the Sagrada Familia. Antoni Gaudi was hit by a tram on 7th June 1926. Due to his scruffy appearance, it was thought that he was a beggar, and he didn’t receive immediate medical care. He died on 10th June 1926. He was 73 years old. Gaudi was buried in the crypt of the Sagrada Familia. His other famous works, include: Casa Calvert, Finca Miralles, Park Guell, Casa Batllo and Casa Mila. Salvador Dali was a great admirer of the work of Antoni Gaudi, as was Friedensreich Hundertwasser and Felix Candela. Antoni Gaudi was single for his entire life. Many thanks for this information, my class loved it. Thanks, Mrs H! Glad you and your class like Primary Facts. Hope you come back to visit us again soon. this really helped with my art homework. thankyou. it is in tommorrow so i had to do it quick!!! This really helped with my art homework! Thanks! Thanks man it helped a lot with my art homework, ill make sure I come straight to you again! awesome thanks for the help you guys! Thnx its gonna really help me with my school project.without this web i would be doomed!!!! good facts about Gaudi this really helped me out with my school work and art because it gave me a idea of how gaudi style was. This was so useful, thank you!